A rich and compelling novel about a mismatched marriageand its consequences, spanning three generations. 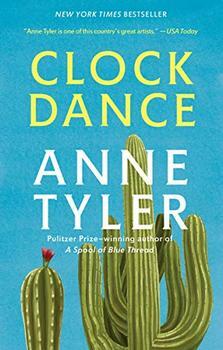 From the inimitable Anne Tyler, a rich and compelling novel about a mismatched marriageand its consequences, spanning three generations. They seemed like the perfect coupleyoung, good-looking, made for each other. The moment Pauline, a stranger to the Polish Eastern Avenue neighborhood of Baltimore (though she lived only twenty minutes away), walked into his mother's grocery store, Michael was smitten. And in the heat of World War II fervor, they are propelled into a hasty wedding. But they never should have married. Anyone in the neighborhood could tell you how Michael and Pauline first met. It happened on a Monday afternoon early in December of 1941. St. Cassian was its usual poky self that daya street of narrow East Baltimore row houses, carefully kept little homes intermingled with shops no bigger than small parlors. The Golka twins, identically kerchiefed, compared cake rouges through the window of Sweda's Drugs. Mrs. Pozniak stepped out of the hardware store with a tiny brown paper bag that jingled. Mr. Kostka's Model-B Ford puttered past, followed by a stranger's sleekly swishing Chrysler Airstream and then by Ernie Moskowicz on the butcher's battered delivery bike. Although Tyler's prose occasionally slips into banality, she never falters in creating vivid characters whose weaknesses are both credible and compelling. She expertly explores the perils of marriage… Wise & observant…She has the uncanny ability to expose the most confusing contradictions of love. In the fervor of WWII, Michael and Pauline rush head-long into marriage, then live in a constant state of turmoil …We watch safely from a distance like a busybody neighbor hiding behind the curtains, judgmental yet fascinated. In new novel The Amateur Marriage, Anne Tyler once again displays the qualities of wisdom, insightful writing and compassion that have made the Baltimore resident the most-admired serious yet popular writer working today. One is never embarrassed to be seen reading a Tyler novel. Tyler ranges over 60 years of American experience… from the attack on Pearl Harbor to the anniversary of that day in 2001…as she tracks one couple's domestic disturbances…[Her] writing is beautifully accurate, more often than not with a glinting vein of humor. She evokes the entire sweep of [a marriage] with uncommon delicacy & dignity… gives us the feeling of being inside Michael and Pauline Anton's marriage. Her command of what will move a story forward & engross a reader is faultless. This 'wickedly good' author has come to represent the best of today's American literature… She is an exquisite chronicler of the everyday…Her characters are at once infuriating and endearing, conservative yet quietly eccentric. The range and power of this novel should not only please Tyler's immense readership but also awaken us to the collective excellency of her career. [This] sad story, as dark and ironic as Dinner at the Homesick Restaurant, is leavened by Tyler's trademark comic details, narrated with characteristic dry and witty understatement. This rewarding work is recommended for most public libraries. ... the usually adept Tyler ends up setting 30 years of tedious marital unhappiness and domestic tragedy against a distressingly superficial and bland accounting of the rise of suburbia and the flowering of hippie culture. Her observations about how abruptly even the most boring life can go wrong, and about the fact that we are all amateurs in our first marriages, are poignant, however, and may be enough to satisfy readers who seek safe and comfy novels. Painfully accurate and painfully funny as ever, [The Amateur Marriage] traces the stormy union of two people who love but can't stand each other......So smart, so sensitive, so readable and engaging. Is it churlish to suggest that an author obviously at the peak of her powers should broaden her horizons and push herself a little harder the next time out? ....an ode to the complexities of familial love, the centripetal and centrifugal forces that keep families together and send their members flying apart, the supremely ordinary pleasures and frustrations of middle-class American life.